A firefighter battles the Thomas Fire, the largest wildfire in the modern history of California, in Dec. 2017. While scientists don’t expect 2017 to beat out 2016 as the hottest year on record (though it will likely be among the top three), several Western states broke monthly heat records in 2017. Colorado and New Mexico experienced the warmest March in each state’s history. Along the Pacific coast, California, Oregon and Washington set records for the hottest August on the books. Autumn scorched the Four Corners states: Arizona, Colorado, New Mexico and Utah each broke its November heat record. Wildfires raced across the West in 2017, with California hit particularly hard. The Golden State experienced the costliest, most destructive blazes in its history in October, when 44 people were killed and thousands of homes destroyed near Napa and Santa Rosa. Two months later, the Thomas Fire, now the state’s largest wildfire on record, started east of Santa Barbara on Dec. 4 and was still burning as 2017 came to a close. In Montana, wildfires burned more than 1 million acres this year, filling the air with a haze of lung-damaging smoke, a problem that could get worse in the coming years. 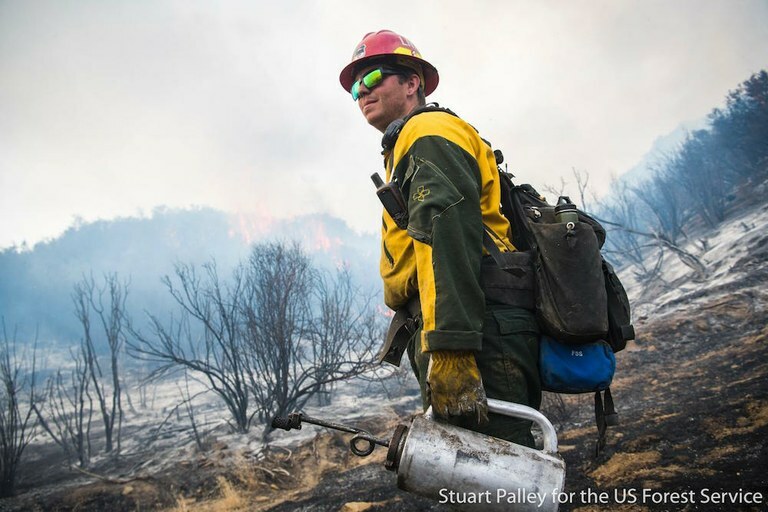 Scientists expect to see more fires and a longer fire season as temperatures rise across the West. As the climate warms, the amount of sea ice in the Arctic is decreasing. Sea ice cover hits its maximum in March, when there’s typically two or three times as much ice as there is in September, after summertime melting. In March 2017, Arctic sea ice peaked for the year — and broke the record for the lowest winter maximum ever recorded. That could drive changes far from the North Pole. In December, scientists from Lawrence Livermore National Lab published a study elucidating the link between Arctic sea ice loss and drought in California. This year’s fires were fueled in part by severe drought. Exceptionally dry conditions in the northern Great Plains began in the spring and lasted into the fall, decimating crops in parts of Montana and the Dakotas. The drought also left many pastures unable to support cattle. Fields were so parched that many ranchers were forced to sell their animals or rely on donations of hay to get by. California’s latest drought was declared largely over in early April. But the deluges of winter rain along the coast that helped end the dry spell also brought destruction. Tens of thousands of people in San Jose evacuated due to flooding in February, some of whom were still displaced months after the disaster. And more than 180,000 people downstream of Oroville Dam were told to flee their homes on Feb. 12, when officials feared that damage to the dam’s two spillways could lead to a catastrophic, uncontrolled release of water. Though the reservoir walls held, preventing widespread flooding, repairs to the spillways are expected to cost more than $640 million. California’s heavy rains also set off several landslides. In Big Sur, a major bridge was damaged beyond repair in February and sections of Highway 1, California’s iconic coastal route, were obliterated, leaving some communities inaccessible by car. The biggest slide, on May 20, blanketed a quarter-mile of the highway and created a new, 15-acre peninsula jutting into the ocean. Rain wasn’t the only destructive weather that pummeled the West this year. On May 8, thunderstorms hit Denver, Colorado, and the surrounding area, walloping buildings and cars with hail the size of baseballs. More than 100,000 vehicles were damaged. The final price tag for the destruction wrought by the barrage was more than $1.5 billion, making it the state’s most expensive hailstorm ever.